My name is Kiki Johnson and I am a Calgary based freelance food blogger, cookbook author, recipe tester and recipe developer. I was born and raised in Germany and spent a few years traveling Europe, Australia, Asia and Central America to broaden my culinary horizon and take cooking classes before I came to Canada with my husband. 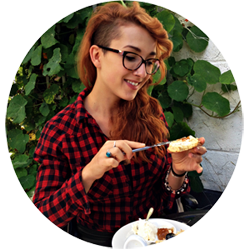 I´m a trained language teacher and history major but food has always been my biggest passion. Now my career is to serve as a culinary translator/interpreter between my German and my Canadian readers. I started my German-Canadian food blog “Cinnamon and Coriander” about three years ago. The cinnamon speaks to me of my childhood, growing up in Germany with its rich baking tradition. It represents everything marzipan, and poppy-seed, and Christmas! The coriander represents the life I have lived since leaving Germany to go explore the Central American and South East Asian Kitchen. My life resembles one big culinary bucket list with more empty boxes than tick-marks, but then, that’s always the case when every time you experience something new you’re forced to add five more things you have to try to the list. Both in cooking, and more generally, in life. In my recipes, I try to merge my European culinary heritage with New World influences. 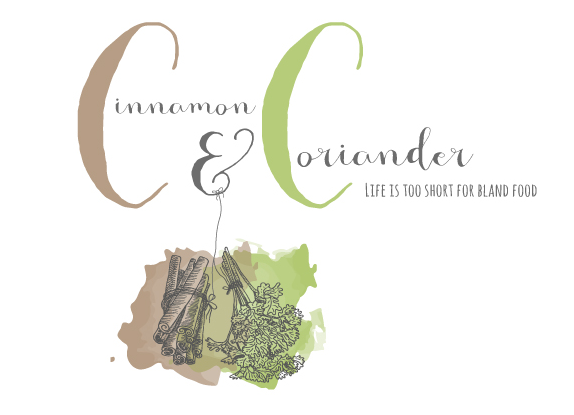 Cinnamon & Coriander is a rapidly growing food blog with over 70.000 monthly visitors and over 500.000 pageviews per month. I also reach out to my readers via my social media channels like Pinterest (3 k followers), Instagram (3 k ) and Facebook (2,7 k ). My recipes and pictures have appeared in cookbooks, magazines and online. If you feel your brand or product would work well on my blog, feel free to contact me and we can talk about a possible cooperation.